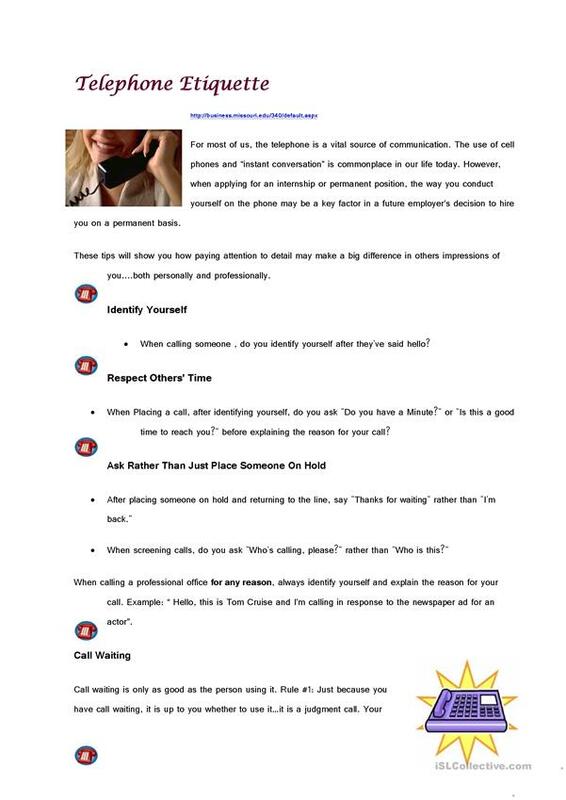 Tell students about telephoning and etiquette when using the telephone. The present downloadable worksheet is intended for adults at Intermediate (B1), Upper-intermediate (B2) and Advanced (C1) level. It was designed for enhancing your groups' Speaking, Reading and Writing skills. It is focused on the topic and words of Language functions.